Water can either be a solid, a liquid or a gas. How does matter change state? Ice, liquid water and steam all consist of exactly the same molecules. 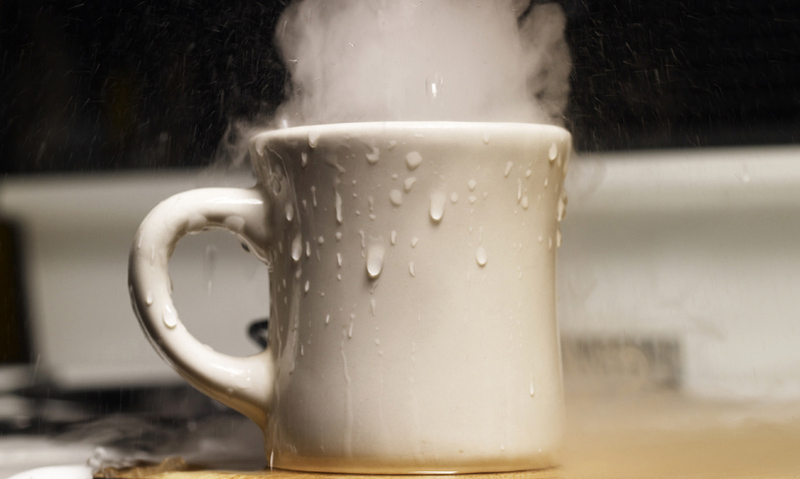 Evaporation occurs when the temperature rises enough to change a liquid to a gas. Condensing occurs when a gas cools down below its boiling point to form a liquid. Freezing occurs when a liquid is cooled enough to form a solid. Ice, liquid water, and steam all consist of exactly the same water molecules, but in different states of matter. There's no chemical difference between these substances, it's just the physical arrangement of their molecules that makes them so different.